Joyce and I traveled to Iceland in early September 2016. Iceland is about the size of Virginia. We explored the Reykjavik area, the Golden Circle, the Snæfellsnes peninsula, and the area along the southern and southwestern coasts. I am not sure there are any adjectives that really capture Iceland. It is a truly beautiful, wild, alive, and diverse place. From a photographer's viewpoint, it is heaven. “Sun Voyager” (Icelandic: Sólfar), is by Jón Gunnar Árnason. 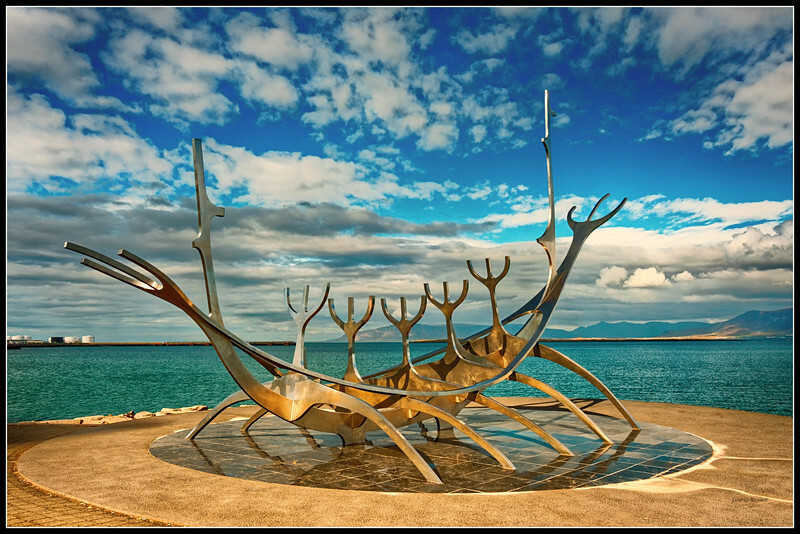 This sculpture sits on the harbor at the capital, Reykjavik.